This is an instructor-led course that teaches adult and child CPR and AED use, infant CPR, and how to relieve choking in adults, children and infants. It will be held on Thursday, February 21 from 6-9 p.m. at HealthPoint Fitness in Jackson. This course teaches skills with the American Heart Association’s research-proven practice-while-watching technique, which allows instructors to observe the students, providing feedback, and guide the students’ learning skills. 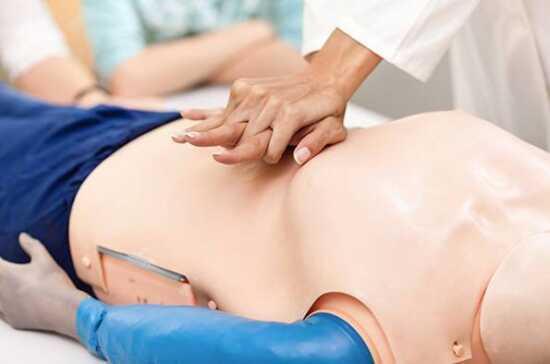 The course is for anyone with limited or no medical training who needs a course completion card for CPR and AED use to meet job, regulatory or other requirements. Cost of the class is $45 and includes a booklet. Participants can reserve a spot by calling or stopping by the front desk of HealthPoint Cape or HealthPoint Jackson. For more information call 573-755-2301 or 573-986-4400.